Blogging has connected me with some of the most amazing and wonderful people. Not only just wonderful writers, but people who are as passionate about Jesus Christ as I am. It has been an amazing privilege to get to know these beautiful people with hearts ablaze for the Lord! One lady I have had the honor of connecting with is Gertrude from A Chosen Remnant. She has recently authored a book: 25 Verses to Pray Over Your Children. She opens the book sharing about why it is important to pray over our children. This really resonated with me, because as humans we have the tendency at times to allow selfish ambition to color our prayers. James warned that there are times when our prayers are not answered because they were founded on selfish desires. Praying scripture not only helps to align our hearts with God’s heart, it also enables us to pray sound, biblical prayers. 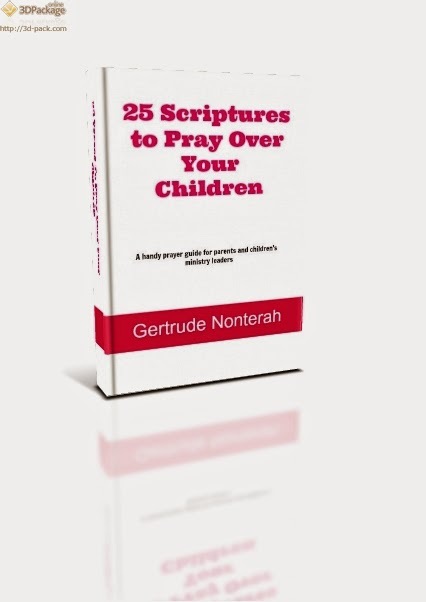 Gertrude not only gave us 25 amazing verses we can pray over our children, she also wrote our prayers that we can use. Truly this book is a handbook you can use in your daily prayer time to supplement your daily prayers for your children. But not just for your children. She emphasizes how she also uses these scriptures to pray for the children in her church. As I read this book, I found myself praying for my children and tears began to fill my eyes as the truth of these Living Words filled my heart. 25 Verses to Pray Over Your Children is not only a great book for you, it would make a wonderful gift for your child’s Sunday School teacher or a new mom. “2 Timothy 1:8 Be not thou therefore ashamed of the testimony of our Lord, nor of me His prisoner; but be thou a partaker of the afflictions of the Gospel according to the power of God. Thanks for this Roz !! I completely appreciate it. 😀 I hope you’re having a good day. You’re so welcome. It was a pleasure and it was very well received across Google Plus. It’s a great book! This is a great resource, so glad you are sharing it! Thank you, Marissa. It is an excellent resource! And best of all – free!